Stephen Gibson reviews 'Experimenter', a new film on the life of Stanley Milgram, directed by Michael Almereyda. Whatever one’s views on Stanley Milgram, his controversial experiments on ‘obedience’ to authority make for compelling – and troubling – dramatic material, as generations of psychology students introduced to them through Milgram’s own 1965 film Obedience would no doubt testify. In Michael Almereyda’s Experimenter – recently released on DVD after a limited UK cinema release in late 2015 – Milgram’s life, and in particular the ‘obedience’ experiments, are the subject of an intriguing biopic starring Peter Sarsgaard. Ultimately, however, the film fails to satisfy, both as a treatment of the intellectual status of the experiments, and in purely dramatic terms. Almereyda departs from standard filmic conventions in several ways, yet while these certainly pique the interest and give the film a distinctive visual feel, they also come across as rather forced at times. This is most apparent in the frequent breaking of the fourth wall, which often seems to be done more for expository than dramatic purposes, with Sarsgaard addressing the audience directly to explain some aspect of Milgram’s work or personal life. Other devices, such as the deliberately artificial appearance of some backgrounds and sets, a literal elephant in the room, and a preposterously fake beard, are certainly striking but ultimately are merely curios that, rather than leading the viewer to a deeper immersion in Milgram’s world, serve only as reminders than you are watching a-very-clever-film-indeed. Had these techniques been used more sparingly, the effect could have been quite different, but as it is it all feels rather unsatisfactory. 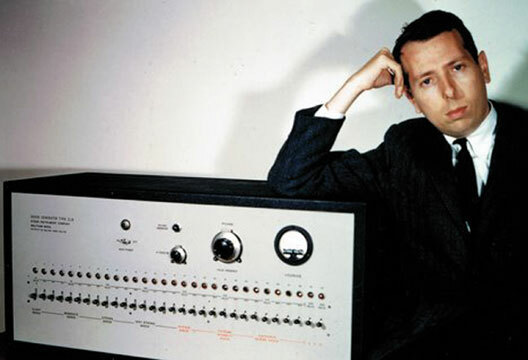 The strongest segment of the film is one in which Milgram’s growing fame (and indeed notoriety) in the 1970s leads him to the set of a TV movie inspired by his work. Kellan Lutz steals the scene with his portrayal of William Shatner, who played the Milgram-like experimenter in the TV movie, and as Sarsgaard’s Milgram leaves he gives a knowing aside to the audience: ‘There are times when your life resembles a bad movie, but nothing prepares you if your life actually becomes a bad movie.’ This is the first time in the film that this device seems to serve a purpose over and above the explanation of things that have happened off-screen. In intellectual terms the film disappoints because it offers an almost entirely conventional treatment of Milgram’s work. The story of overwhelming obedience in the face of authority is reproduced uncritically. Commenting on the performance of one participant, Milgram states ‘He went all the way, most of them do’, which recycles the standard account of the experiments that neglects the many versions of the experiment in which most participants resisted. Indeed, the general drift in recent years has been towards a perspective that questions whether Milgram was even studying obedience at all (see Gibson, 2015, for a summary). Similarly, the film promotes the ability of the experiments to shed light on the Holocaust through a conventional gloss on Adolf Eichmann and the ‘banality of evil’ thesis that bears little relation to the current state of scholarly opinion on either the Holocaust itself, Eichmann in particular or the place of Milgram’s work in Holocaust studies (Haslam & Reicher, 2007). As it is, the film contents itself with highlighting the ethical problems of the experiments, which despite Nicholson’s (2011) argument that too many recent commentators have glossed over the ethical critique, still arguably represents the best-known challenge to Milgram in the standard story of the experiments. It would be naive to expect a big-budget Hollywood film to address itself to these nuances, but this is a more independently spirited production, and so the highly conventional narrative is perhaps surprising. And it is here that the creative and the intellectual problems combine in what is arguably the film’s biggest weakness: in allowing only Milgram to address the audience directly, the character of Milgram controls the narrative. In sticking so closely to Milgram’s own account of his work, the authorial Milgram again remains in control. At a time when this account is being challenged more fervently than ever before (e.g. Brannigan et al., 2015; Perry, 2012), this is something of a disappointment. Brannigan, A., Nicholson, I. & Cherry, F. (Eds.) (2015). Unplugging the Milgram machine [Special issue]. Theory & Psychology, 25(5). Gibson, S. (2015). Rhetoric and resistance. The Psychologist, 28, 648–651. Haslam, S.A. & Reicher, S. (2007). Beyond the banality of evil. Personality & Social Psychology Bulletin, 33, 615–622. Nicholson, I. (2011). ‘Torture at Yale’: Experimental subjects, laboratory torment and the ‘rehabilitation’ of Milgram’s ‘Obedience to Authority’. Theory & Psychology, 21, 737–761. Perry, G. (2012). Behind the shock machine: The untold story of the notorious Milgram psychology experiments. London: Scribe.